After seventeen-year-old Vera is diagnosed as bipolar after a very public psychotic break, her parents watch as her vibrant personality is decimated by the drugs she is prescribed to keep her level. Soon her usually distant father, Lucas, decides to take her on a trip to the homeland of his grandmother, Lithuania. 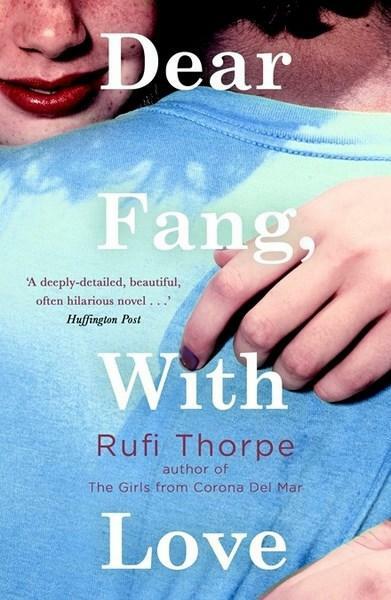 While he investigates his historical ties to the country and his guilt at not knowing Vera increases, she details her strange new life in a foreign country within letters to her boyfriend, Fang. Together they delve into their own histories to discover the truth about how they came to be. Dear Fang, With Love may sound like an overwhelmingly intense novel, covering such issues as the Holocaust, mental health and ancestry but Vera’s unwavering bluntness fills the book with a blunt humour that breaks the seriousness of it all. Not only does this make her a great character to read but also makes the whole situation feel more realistic. Her father Lucas is as much of a lead as Vera (if not more so). Becoming a father at eighteen was a ridiculously spur of the moment decision and when he and Vera’s wife discover just how different they are, things fall apart. He makes a number of mistakes that leave you wanting to scream between the pages but overall you can’t help but feel slightly sorry for him and his genuine attempts to be a father, especially to a girl who is so sensitive to his unease and has no qualms in pointing it out. Dear Fang, With Love is a unique, occasionally uncomfortable but beautifully written story of survival, a sense of self and the difficulties in understanding mental illness. This is mature and thought-provoking YA that will stay with me for a long time.